Jimmy Carter has fascinated me for years, ever since he seemed to arise from nowhere to become President of the United States. Forty years ago the presidency was a position of both power and dignity, not a political clown car. Carter made a point of including humility as well, and left the clowning to his brother Billy. In the end he was a rarity, a one-term president, and the analysis proclaimed him weak and ineffectual. I would take that over the strutting "mission accomplished" posturing of Bush 2.0 and Trump. Carter went on to broker peace on several occasions and won the Nobel Peace Prize. At 93 former president Carter continues to be a remarkably active man, emerging from what was supposedly life-ending brain cancer to champion the cause of women around the world and challenge the activities of Israel in the Occupied Territories. He left the Southern Baptist church eighteen years ago over unequal treatment of women and men. He has actively worked for Habitat for Humanity and had a "spell" working on a house building project in Winnipeg last July. 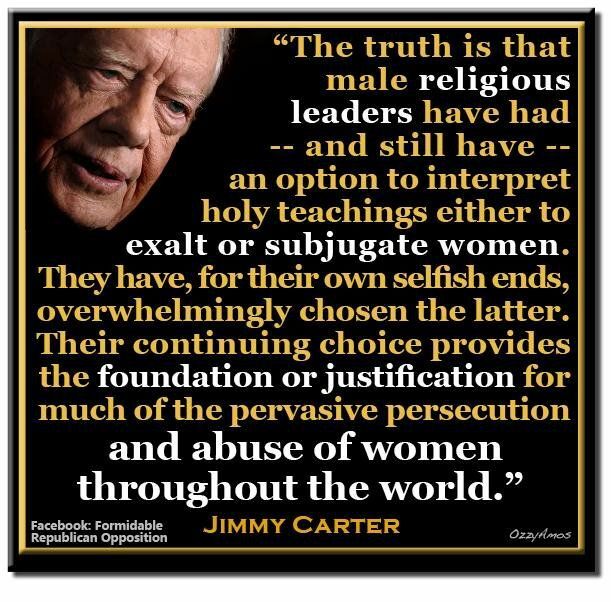 Carter is also a Christian, and not the skim-the-surface nonsense of many politicians in the States. He taught an adult Sunday School class before his presidency and returned to it afterward, although he has decided to step back from this role as a nonagenarian. What a guy, although he does not play golf. 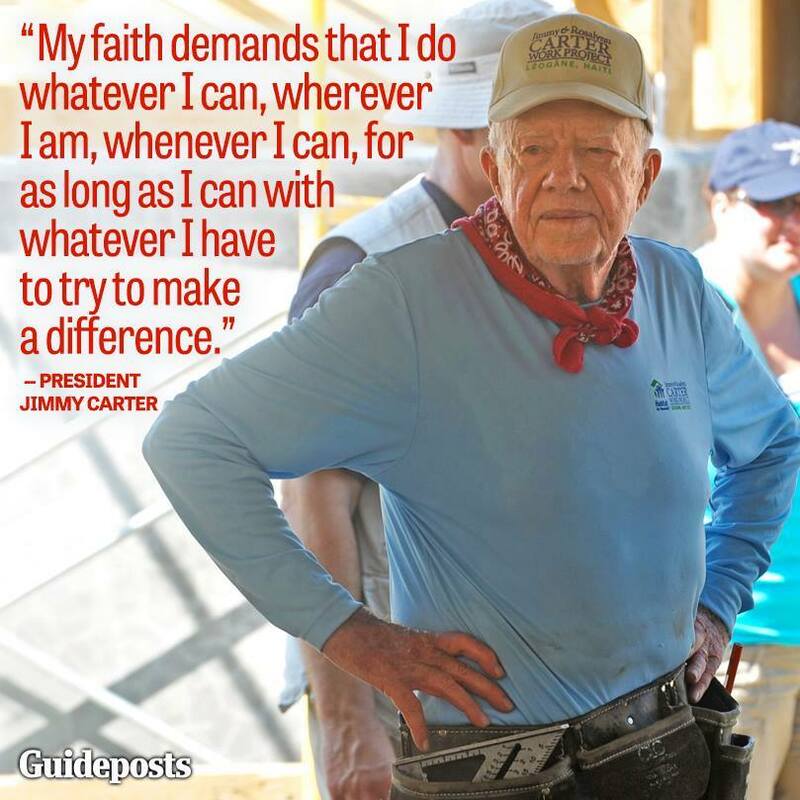 I have long been a fan of Jimmy Carter. I read his book, "Palestine: Peace Not Apartheid." It was an excellent read and very insightful. He's obviously a very intelligent and compassionate person. I would put him in the White House right now and get Trump out of there, if only it were that easy.